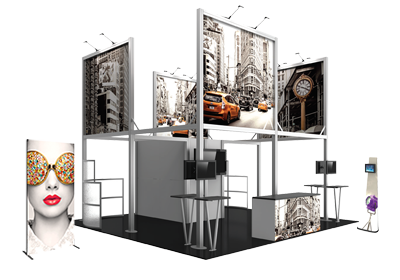 Xclaim 10ft wide 6 Quad Pyramid Kit 02 is a versatile stretch fabric popup display. 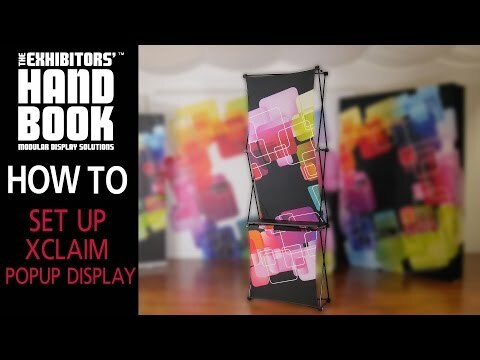 Add dimension to your event or tradeshow with unique, exciting graphic styles. Xclaim 6 Quad Pyramid Kit 02 is easy to setup, lightweight and portable. The collapsible popup frame is fully magnetic (with magnetic linking connectors), making it simple to assemble and disassemble. Stretch fabric graphics come pre-attached to the frame, making assembly easy and fast. Graphics adhere to the hubs using push-fit attachment technology. Xclaim 6 Quad Pyramid Kit 02 comes with graphics, frame and soft case with a shoulder strap.